The evil King Kans threw Vasudev and Devki (his sister) into prison because it was prophesied that their eighth child would kill him. So child after child was born in prison to the hapless couple and mercilessly butchered by Kans... Until the time came for the eighth one. Devki fully pregnant was blooming with Divinity and Kans could see his doom being created in his siter's womb. He doubled trebled quadrupled the guards outside the cell of Devaki and Vasudev, giving them strict instructions to inform him as soon as the baby was born. But right at the stroke of midnight, a little more than 5000 years ago, all the guards fell asleep, the chains that bound Vasudev and Devaki dropped off and Lord Krishna entered the world! Vasudev quickly bundled up the baby, put him in a basket and hurried to Yashodha on the other side of the Yamuna. It was a dark stormy night and the Yamuna was swollen and the rain was fierce, but Vasudev in the few precious moments he knew he had just waded in and the Yamuna rose and rose all the way to his head, then the baby Krishna stuck his feet out of the basket and the water touched the feet and receded. Vasudev reached Yashodha who was sleeping peacefully having just delivered a baby girl and exchanged the two babies, and rushed back without incident into the jail... and the spell was broken, the baby cried and the guards rushed and informed Kans who rushed in snatched the baby and tried to kill her, but the legend goes that it flew out of his wicked hands shouting to him that his destroyer lives! Vasudev means the Breath and Devki is the Body. Kans is the ego. The guards and the chains the 5 senses. Through the union of Body and Breath, Krishna (Bliss) can be born. And when does Bliss come? When all the chains drop off and the guards are asleep... when the 5 senses are conquered... But Body and Breath alone cannot sustain Bliss... They can give birth to Bliss, but for sustaining Bliss, Love is needed and so Vasudev carries Krishna over to Yashodha who is the embodiment of Love, who nurtures and brings up Krishna! And of course it is Krishna (Bliss) nurtured by Yashodha (Love) who finally destroys Kans (ego) and frees Vasudev and Devaki (Body and Breath)! 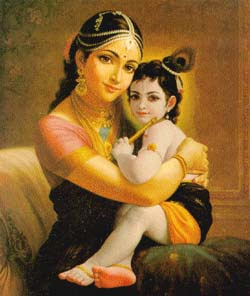 Janmashtami is the celebration of the glorious Birth of Lord Krishna! ps The Yamuna rising and rising indicates that in life sometimes, trouble may come and engulf you all the way to your head... but if you have got God with you, then you can never drown! Just surrender and know that you are being taken care of, and do whatever it is you have to! Guruji had once mentioned that when you have a Guru, you can never fall... you may even have the experience of falling, but you cannot fall! woww guruji's interpretation leaves me spellbound .. When will we get to see your baby pics??? Yes definitely I would like to read more about Krishna .......... just go on Bawa. Of coarse. We will love it. ofc .. we wud love it bhaiya ..
T O T A L L Y ! lovely .. happy Janmashtami to you too ! yeah plz elaborate more bout our dear Krishna and more of Guru stories please..
yes Bawa, even though we know the story we loved to read it. & the way Guruji described is awesome. right from krishnas birth, we have heard so many stories about him, and then so many forms of krishna which keeps surprising us,wheather his naughtiness,or masti, or mantras or in todays life his managerial skill. and guruji is just icing on cake. Happy Janamashtami to u too... :)..
let me cut short the wow fantastic comments bau but yes i wld love to read sme more or our beloved krishna and soon please..
happy janmashtami to u too. its good to know the meaning of these stories which we have been hearing since so long..
Awestruck by Guruji's beautiful interpretation....! Guruji keeps on amazing us with these simple and OH-SO-GOODDDD interpretations of everything...seriously awesome!!! ohh and forgot...PLEASEEEEE keep writing about Krishna...would love to hear..
Oh I just watched Guruji's talk on Krishna's Birthday :) Behind every action of the Lord there is indeed a profound meaning. And ya it goes without saying that we surely await and would love to read more posts about Krishna..
Makes a lot more sense and brings out an amazing sense of wonder. Yeah Bau!! Please more of Krishna!! The Ancient knowledge of the Puranas and the upanishadas is flowing through your Pen in modern words Bawa. Thanks for the blog. 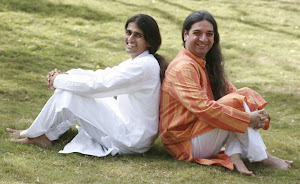 I knew about your blog at bali during the recent visit with Guruji.Please publicise it more. Photographic proof that water exists on Mars!!! Why do Parsis worship the Fire?